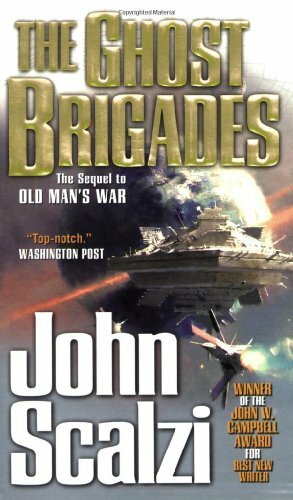 I recently re-read John Scalzi’s ‘Old Man’s War‘ and ‘The Ghost Brigades’ because, well, why not? They’re a great, fun, fast read. But, more importantly because I’d been thinking about his novel ‘The Redshirts’, a book that was equally liked and derided on a forum that I frequent (or lurk) when looking for good sci-fi suggestions. 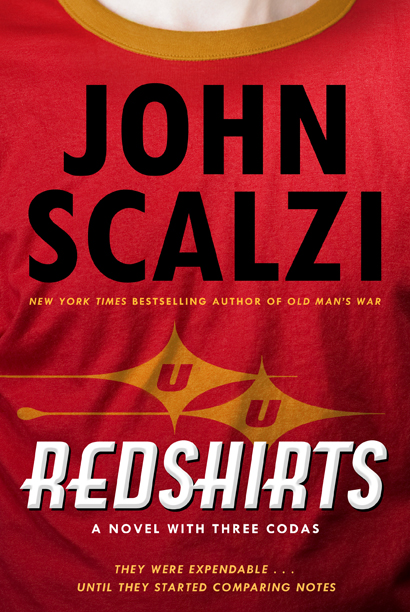 It made me wonder about Scalzi’s work and what I found so good about Redshirts. Fortunately enough, when the book came out I was lucky enough to ask the author a few email questions which may help in backing up my thoughts. As I mentioned both Old Man’s War and TheGhost Brigadeare fast, action packed books. 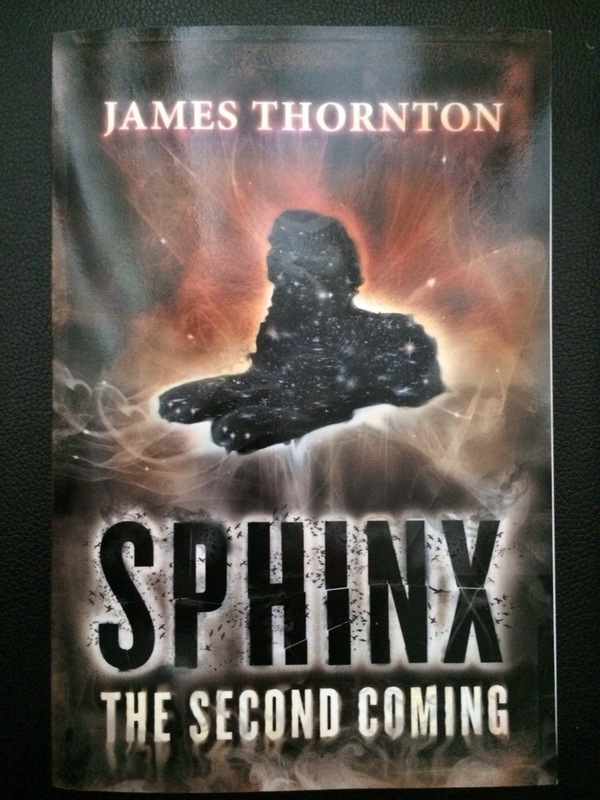 Set in the same universe, the books deal with some cool ideas all set within a rollicking adventure. These books aren’t new so, at the risk of covering old ground, I’ll keep the description short. In Old Man’s War (OMW), we are introduced to the idea of transferring consciousness from a human body ravaged by old age into a new, young, super engineered body. These new super soldiers are the OAPs of Earth who have signed a deal with the Colonial Defence Force as an exchange of military service in space for youth and the possibility of a new, and importantly, young life. The protagonist in OMW is one such pensioner who signed up with the Colonialists and we meet him as he considers the reasons for joining, amongst them the death of his wife. We follow the protagonist, John Perry, as he and other recruits are given their super, new bodies and embark on their military career. There are underlying ideas on identity, and what it is to be human as well as an interesting take on ‘foreign policy’ as the Colonial Force is tasked with combating aliens in an endless war for territory in a teeming universe. 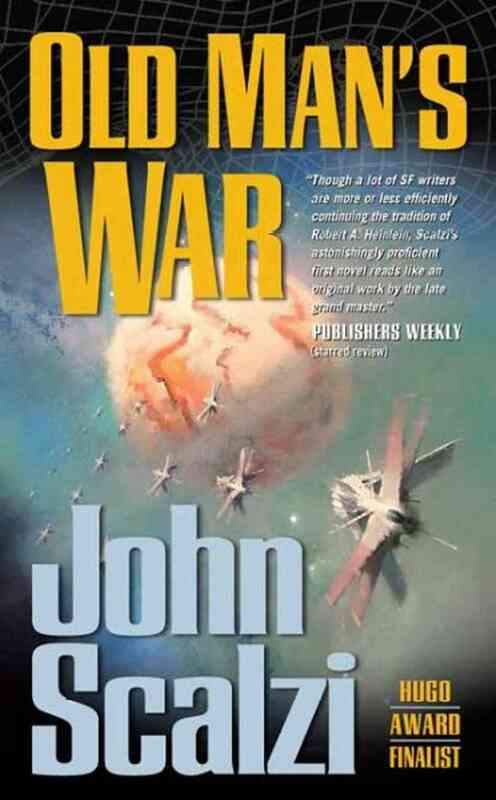 But, there is another theme that, I feel, runs through Scalzi’s books. John Perry sees his dead wife. However, the soldier, Jane Sagan, he sees is not an OAP made new but a differently engineered soldier, made up using DNA from deceased recruits. It is his wife but not his wife. Perry is driven to find out who she is and the novel ends up seeing him go above and beyond to help this women who looks like his beloved. In The Ghost Brigade, the novel centres around Jane Sagan, and the other special forces soldiers of the books title. These troopers are not transferred humans from Earth but are instead ‘born’ using a computerised consciousness called BrainPal. Tasked with tracking down a renegade scientist, the Ghost Brigade download a copy of his consciousness into a newly born soldier, Jared Dirac, in an attempt to see if they can recreate the scientist and discover his treacherous plans. It doesn’t totally work and Dirac is both a new self but also an incomplete version of the scientist, effectively becoming a new iteration of that mind as the novel progresses. But, the main driving force for Dirac is the memories from the consciousness of his other mind (that of the scientist) of a daughter. The lengths he goes to and the love he feels is extraordinary. And this is where the book gets exciting. These Redshirts, these extras, realise they are fictional and the novel quickly becomes very meta- fictional. Rather than getting bogged down in philosophical concepts, Scalzi delivers a thoroughly entertaining story all told in his inimitable style. Yet, at the end of the book we are offered three Codas (three conclusions) which, to me, speak directly about this idea I have of Scalzi’s work: the notion of a love that drives, that consumes and completes, be it for a wife or child. For me, all three books have this idea of love at their core. All three are great military adventure sci-fi but all can be read with, perhaps, a deeper meaning. As he wrote to me, he hoped the philosophising would happen off the page and that he’d written an entertaining book. 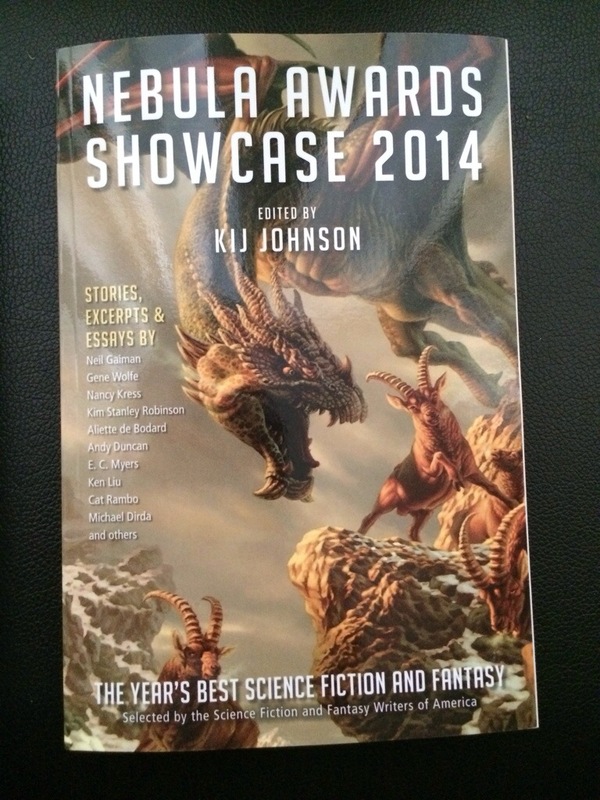 Read either way, it’s little wonder John Scalzi wins awards for his fiction. I came late to the zombie party. A few years ago I picked up World War Z by Max Brooks just before I started watching The Walking Dead and, though it has taken me a while to join the shambling hordes in their appreciation of the sub-genre, I’ve definitely got a hunger for more zombie apocalypse books. (Ok, enough of the bad puns.) 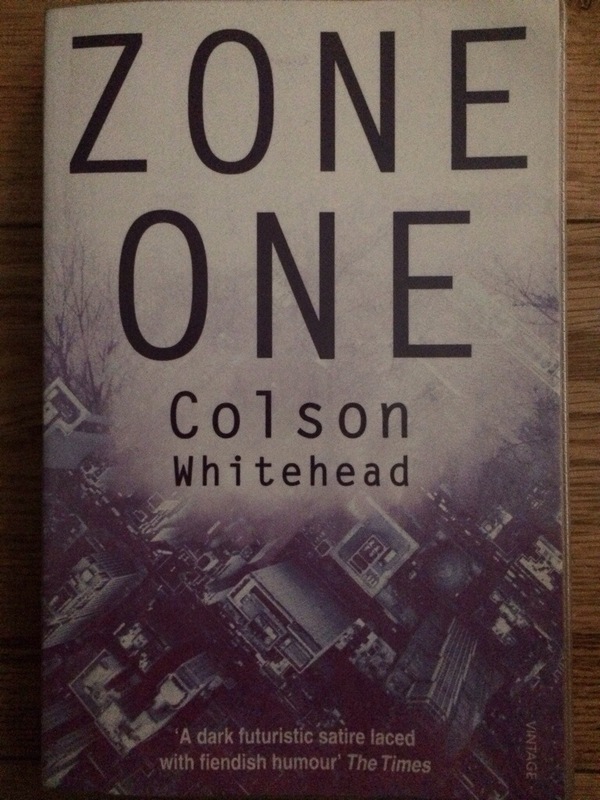 I’ve recently started a small collection of zombie literature; Zone One by Colson Whitehead came highly recommended and for a number of good reasons. Zone One is an exceptional book. It has everything expected of a zombie novel but it offers it up using a language and style that is both meandering and luxurious. This adds another layer to the story, pulling you in and wrapping you up in the thoughts of the protagonist. It’s not to be overlooked. Whilst it is not the gut punch of an all-out action book, Whitehead’s tale is a devastating and creepy story, just as powerful and just as addictive to read. Similarly to The Walking Dead (TV show), Zone One is concerned with the affect that the apocalypse has on the survivors. Whitehead’s characters are brilliantly sketched, small details creating believable and relatable actors. The protagonist, ‘Mark Spirtz’ (a nickname with a story that is slowly revealed adding another intriguing and distinct layer to the novel) is painted as Mr mundane, middle-of-the-road. He’s not a military/commando/prepper ready for anything. He’s an unexceptional young man with small dreams which, apparently, is exactly what is required to survive a zombie apocalypse. The book is told in a series of flashbacks and present scenarios, recalling the main character’s journey to Zone One (a cleared area in New York) through a landscape of survivors all dealing with the terrible realities of ‘the last night’ and the attempts to stay alive. It is those flashbacks that reveal so much. That, just like the inevitable zombie attack, every fellow survivor is a ticking time bomb. This claustrophobic realisation that nowhere is safe and no one is untouched by the horror and insanity of their shared nightmare is pervasive; a creeping terror that powers the book forward. Zone One is a stunning work of fiction that looks at the zombie apocalypse concept and considers the psychological toll it would have on any survivors whilst simultaneously dropping the reader into a horror story of epic proportions. 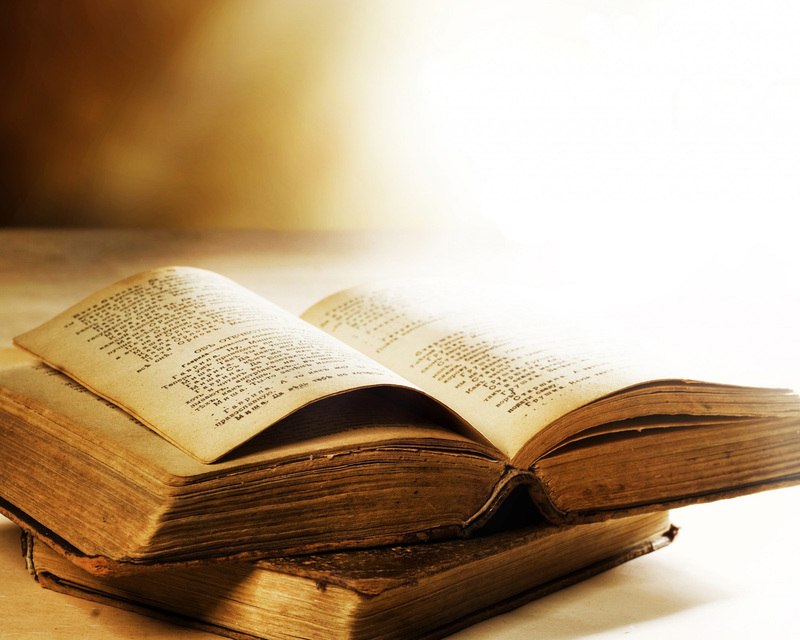 The long and short – Definitely worth reading. Solaris and Abaddon, sibling imprints under the Rebellion Publishing umbrella, are consistent in finding interesting new authors to add to their impressive list of writers. 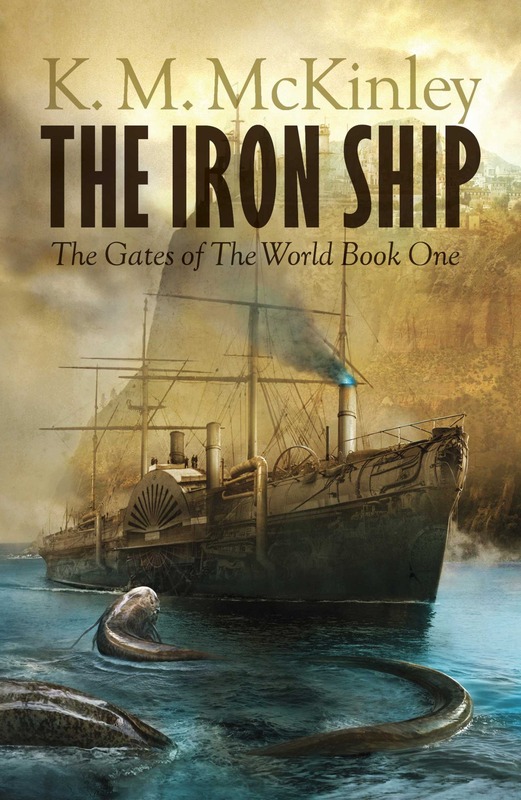 2015 will see another name join that list as KM McKinley debuts with The Iron Ship, the first book in the Gates of the World series. Check out the evocative cover art by Alejandro Colucci and the blurb below. Definitely one to keep an eye out for.. This is my first foray into social media as I’m not on Facebook or Twitter (not sure if that is a humble boast or the confession of a Luddite) and I’m hoping this blog will allow me the space to consider all the great books that I read – and the occasional film should I get the chance. There will be reviews of older books and newer titles, second-hand bookshop finds and, hopefully, some ARCs and the odd interview, along with a random Quantum Leap reference every now and then. So, after much beard stroking and procrastination, lets begin this book blog.